Gen. Muhammadu Buhari has won at the ongoing APC primaries held in Lagos emerging as the party’s flagbearer and will contest against the incumbent President Goodluck Jonathan in the 2015 Presidential election. 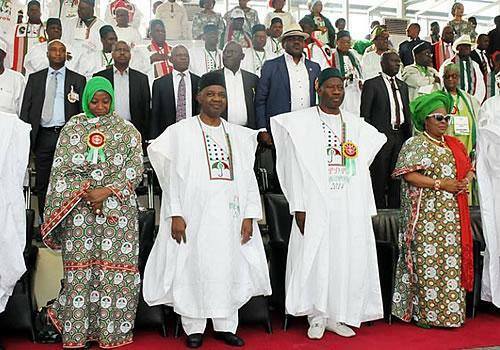 Jonathan’s candidacy was ratified by the PDP at the just-concluded primaries which held at the Eagles Square, Abuja. The president has also picked his vice as running mate in his bid for asecond term in office. Meanwhile, former Vice President Atiku Abubakar has congratulated Gen. Muhammadu Buhari for a “well fought for and deserved victory”. Atiku who was also an aspirant in the APC primaries polled 954 out of a total of 7,214 votes. With your permission, Mr Chairman, I would like to begin by welcoming all the CPC delegates to this historic occasion. And our special welcome goes out to our friends and colleagues from sister-parties, notably Chief Bisi Akande, Chief Audu Ogbeh, Musa Gwadabe, Dr. Yakubu Lame, Governors Raji Fashola and Ibikunle Amosun, former Governors Achike Udenwa, Segun Osoba and Chris Ngige, Alhaji Lai Mohammed of the ACN, Senator Ahmed Sani, Yariman Bakura, of the ANPP, and Owelle Rochas Okorocha of APGA. 2. But before I deliver my speech, I would like all of us here and across the country to reflect on the seriousness of the security situation in the country today. Some areas of the nation are virtual war zones in a country supposedly at peace. Whole local governments in some states in the North East are no-go areas to representatives of constituted authority. Marauders of every description armed to the teeth with all manner of sophisticated armaments roam the national landscape with total and murderous impunity. The patience of this nation and the various communities within it has been severely tried and stretched to its limits. And there is no end in sight. 3. Anarchy is knocking on the door of many sections of this country and the Federal government has not demonstrated that it has the good sense to understand what is going on, or the competence to check it. The nation is hopelessly adrift. But, if we are to survive, this vicious circle of violence that has engulfed this nation must be brought to an end; and we implore the National Assembly to take the lead in this quest for peace. I am sure everybody in this gathering will join me in expressing sympathy for, and solidarity with, the good people of Borno, Yobe, Kano, and now, Nasarawa and Benue states on their suffering and travails. 4. Mr. Chairman, distinguished guests and fellow delegates, we must explore every opportunity to save our country. This is a historic moment when several different political parties have resolved to come together to change Nigeria for the better and stop the mindless drift that has been going on for the last fourteen years. We must understand and accept that we are here gathered to make history or forever stand accused and condemned by it. We must seize this moment that calls for patriotism and sacrifice—it is time to sacrifice everything—time , resources, ambition and ego—for the greater good. We should carry this process through to a successful conclusion, and leave our legacy and foot-prints on the history of Nigeria. 5. Many political analysts have long stated that the only way to stabilize the country is for opposition parties to merge and oust the ruling PDP. In 2010, during the run-up to the elections of 2011, ACN and CPC inaugurated committees to explore ways and means of merging into a single political party. 6. We have gone to the extent of developing a flag, a logo, a name and have even proceeded to discuss with the Independent Electoral Commission, INEC, about the modalities of consummating our plans; but time proved too short, and we were not about to give too many hostages to fortune. 8. The objective of these committees is to prepare CPC for the proposed merger; and these committees have satisfactorily concluded their assignments and their proposals have been submitted to NEC and to the Board of Trustees, and these are now being presented to you, the National Convention, the highest policy making body of our party. Other parties have fast-tracked their processes and some have even held their conventions. So far, so good. No doubt, all the parties joining to form APC are coming in as equals; but, realistically, we all know that some are more equal than others. Nevertheless, every joining party will bring its peculiar strengths to this union and together we will, in every sense of the word, be too strong for the ruling party to resist. With this, we believe the time for real change has finally come to Nigeria—and it must change now before it become too late. The government has failed in almost everything; it has proved unable to secure the nation’s internal environment: there is insecurity everywhere. There is spiraling lawlessness all over the country. There is widespread and rising poverty and unemployment across the length and breadth of the country. There is a complete and total decline in the quality of social services and an irremediable dilapidation in the nation’s socio-economic infrastructure across board. 9. There is an unprecedented fall in the nation’s standard of living and an astronomical rise in the standard of dying. In short, today, there is nothing going right; and we have become a nation in which nothing works as it should, that is, if it works at all. When they said they have what they call a Transformation Agenda, we didn’t understand, but we now know better; because, within the space of three years, they have transformed the country into a veritable wilderness, where everything that should work, doesn’t; where everything that can get broken, has. 10. They promised to give the nation credible elections; they couldn’t deliver. They promised to fight corruption, they couldn’t deliver. They promised to stop the insurgency, and they couldn’t deliver. This nation is witness to the fact that whenever we promised, we delivered. And today, I promise you most solemnly that we shall confront and eliminate corruption in the electoral process. We shall confront and eliminate corruption in the judicial process; and we shall most assuredly confront and eliminate it in the conduct of government business. 11. All these evils derive and draw inspiration from a government that is itself immersed to its neck in a cesspool of corruption; and is best characterized by its own favourite catchphrases: whether it is ‘Do or die,’ or ‘We will rule forever,’ or ‘No vacancy in Aso Rock,’ or they want to ‘fight to finish,’ it is the same thing—something that could never be uttered by true democrats. Their behaviour, language and body language are in complete and total disregard for democratic norms and the ordinary decencies of civilized conduct. 12. We intend to provide a government of different quality and tone to the people of Nigeria, one that will tackle the problem of insecurity, solve the perennial issue of incessant power failure, arrest the shameful deterioration in the standard of education, confront the decline in agricultural production head-on, and stop the collapse of commerce and industry. 13. Ladies and gentlemen, fellow CPC members on behalf of the Board of Trustees of our party, I commend the proposals shortly to be put before you. The best way to eliminate this government that has not brought anything to Nigerians except thievery of resources and violence is to accept to merge our parties. And we only elect to do this because that is what we believe to be in the best interest of the majority of the people of this country. 14. And I would like to end by once again thanking our steadfast supporters—you, the ordinary folks—who have been the unbreakable backbone of this struggle, from the time we started this journey in APP to ANPP and then to CPC. You did not do it for material gain; otherwise, you will have turned your backs on us. No doubt, you decided to stay the course as a mark of respect for our stand, and possibly knowing that we would never let you down. You relied on our judgment to forge ahead through the thicket of the country’s corruption-lade n politics. This we have tried to do to the best of our ability, and will continue to do so until the masses of this country secure a fair deal from those who lead them. What we desire is democracy and freedom for all our people. And in this struggle, we think we have done our bit. 15. At its formation, the CPC became the greatest crowd-pulling party in the nation’s political history; and within six months of its registration, and in spite of all the rigging of the poll and the snatching of its votes, it was still able to get more than 12 million votes in the 2011 presidential election. After the merger, the sky will be the limit. 16. While thanking you again, I implore you not to relent as we embark on yet another move in the search for a better tomorrow for our country, Nigeria. We are now in the final stages of the move that will culminate in the merger of our party—the CPC—with three other parties. We join this effort compromising none of our principles but yielding to the belief that our diverse efforts, applied in unison, will help arrest the rot that has become our lot. 17. We go into this new arrangement still loyal to you and committed to what you stand for. We go into this arrangement conscious of our responsibilitie s to you and grateful for all the sacrifices you have been making since the beginning of our journey. We count on you, as we have always done, to guide, support and defend our position. We will strive to work hard to expand and level the democratic playing field in accordance with the dictates of the rule of law. We declare that we are in this together—and together we shall remain to the end. 18. We played by the rules and we accepted to play alongside those who didn’t; because we believed our participation was giving millions hope that positive change will come along the way. Now change has finally come; and they cannot stop it. And we are putting the current leadership of this nation on notice that our people will no longer tolerate its corruption or the rigging, vote thievery and general impunity that have become the norm and standard practice during elections in this country. 19. We have resolved that henceforth our votes must all be counted—and they must all go on to count. And we declare that this nation has now resolved, through its united opposition, that it will never again tolerate or allow to pass the mayhem the government deliberately creates in order to cover up its guilt, obscure the issues and then blame the opposition in order to deceive gullible folks. And we will no longer be intimidated by anyone. Thank you very much for your patience and attention. May God bless us. 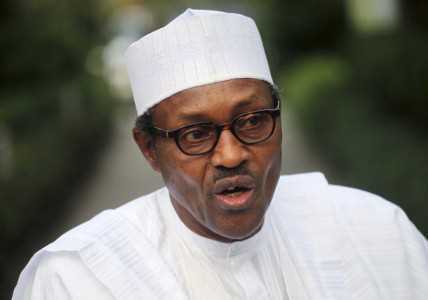 Former military ruler, Muhammadu Buhari, has spoken up on the high-wired intrigues that, in 1985, terminated his barely two-year-old government, blaming his ouster on an attempt to fire Ibrahim Babangida, the then army chief, and Aliyu Gusau, the army intelligence chief. Buhari, a retired General, said he had tabled proposal for the retirement of Gusau, the Director of Military Intelligence and a close ally of Babangida’s, and it became clear to Babangida he could be the next target. The move alerted Babangida who soon mobilized the military and forced the Buhari regime out, before detaining Buhari for three years, the retired general said in a rare interview with the Sun Newspaper published weekend. “I moved to retire his Director of Military Intelligence,” Buhari said. He continued, “…But if you touch Gusau, his intelligence chief, invariably, you were going to inch towards the Chief of Army Staff, Babangida. Eventually, he might have been touched. I didn’t know but at that point, it was Aliyu Gusau. “Yes, we were inching closer. You could say that. Buhari’s revelation corroborated Gusau’s narrative of his military career. In a bio published on his website, Gusau said he was Director of Military Intelligence (DMI) from November 1979 to December 1983 and played an important role in the coup that ousted President Shehu Shagari and the corrupt National Party of Nigeria, NPN, from power on 31 December 1983, bringing Mr. Buhari to power. He said following the coup, he was proposed as overall head of Intelligence, with the support of Babangida, who was then Chief of Army Staff, but that his appointment was opposed by Mr. Buhari. Buhari later confirmed Shagari’s appointee, Muhammadu Lawal Rafindadi, as director of the National Security Organization (NSO). He removed Gusau from the DMI, replacing him with Colonel Halilu Akilu. Gusau was then sent on training at the Royal College of Defence Studies in Britain. Gusau felt badly treated and the Buhari regime suspected he was planning an insurrection. In response, Buhari moved fast by trying to retire him from the army, an action Babangida resisted. Babangida then teamed up with Gusau and a few other disgruntled officers to topple the Buhari regime. Buhari said he felt betrayed by Babangida, and felt even more upset after his detention made him miss his mother’s funeral in 1988. The general however said he has forgiven Babangida, although the events remained unforgettable. He also wished President Shehu Shagari, who he had earlier toppled and detained too, will forgive him. Buhari, who served as petroleum minister under the military government of former president, Olusegun Obasanjo, said he still begrudged Obasanjo for mobilizing voters against him during past elections. “No, I haven’t forgiven him,” he said of Obasanjo. The lengthy interview, commemorating Mr. Buhari’s 70th birthday, provided rare details about the former head of state’s upbringing, military career, politics and life as a flirting youngster who smoked and kept girlfriends. He said he quit smoking in 1977. Since leaving office August 1985, Mr. Buhari maintained a low profile before taking a role as head of the Petroleum Trust Fund under Sani Abacha government, and then joining politics in 2003 when he first contested for president on the platform of the All Nigeria Peoples Party. He said he would continue with party politics as long as “I have breath in me”, but was not certain about running for president in 2015. That decision will be taken after the outcome of the alliance plan between his party, the Congress for Progressive Change, CPC, and other opposition parties, he said. Mr. Buhari said his turning point for democracy came in 1991 after the former Soviet Union split into more than a dozen countries. “I have said this so often that an empire in the 20th century, collapsed and a lot of people ran back home, leaving strategic installations behind, like missile sites, nuclear formation and so on,” he said. But the new convictions altered none of his draconian convictions about media restrictions, and basic rights, he said, offering no regret for his government’s suppression of the media- a reference often cashed upon by critics to taunt his presidential ambition. He said the infamous Decree 4, under which his administration jailed journalists, and refused clemency for drug traffickers, was merely enforcing what the highest military council agreed upon at the time. While the regime received accolades for its anti-corruption stance and discipline, it came under severe criticism for its high-handedness and violation of rights. The anti-media law and the administration’s penchant for summary executions typified those excesses. Mr. Buhari said he had no regrets. “What we did was that you must not embarrass those civil servants. If you have got evidence that somebody was corrupt, the courts were there. Take the evidence to court; the court will not spare whoever it was. But you don’t just go and write articles that were embarrassing,” he said. 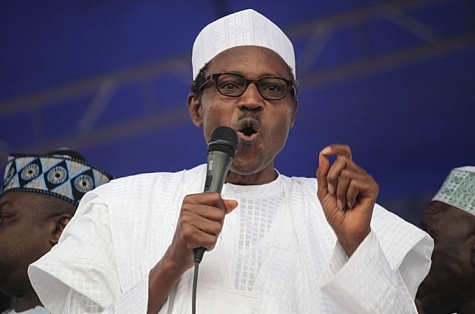 Mr. Buhari also denied N2.8 billion oil money disappeared while he was minister of petroleum. He said the allegation was politically motivated. The general gave a telling portrait of the military coup that brought him to power, and that which saw him pushed out of office and thrown into detention. He denied ever participating in coup plotting, and said he was merely invited as the most senior officer to take over the reins of governance after Mr. Shagari, the second republic president, was sacked. Those backers later “changed their minds” and booted him out of office, he said. A key reason for this, he said, was his attempt to retire Mr. Gusau, and potentially, Mr. Babangida. Mr. Gusau, a well-connected intelligence officer, has remained a long standing associate of Mr. Babangida. As a retired officer, he repeatedly held the office of the National Security Adviser under civilian regimes, the latest under President Goodluck Jonathan. At each turn too, Mr. Gusau has taken a shot at the presidency, and in 2007, Mr. Babangida stood down from the contest citing his relationship with Mr. Gusau and the late Umaru Yar’adua, who won the election. On a light note, Mr. Buhari said he smoked and had affairs while a young officer. He said he didn’t touch alcohol because his religion, Islam, forbids him from doing so. He added for effect that he was surprised that not many women had interest in him despite his position and looks. Then the former head of state jokingly told the interviwers they would be doing him a lot of good by not printing that aspect of the interview, saying “because my wife will read the interview”. The eldest daughter of former Head of State, General Muhammadu Buhari died yesterday evening in Kaduna, two days after giving birth to a baby girl through a caesarian operation at a private hospital. 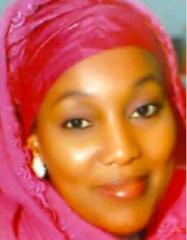 Zulaihatu Buhari, named after the general’s late mother and famously called Magajiya, was born December 5, 1972 and had battle with sickle cell anaemia. She is survived by her husband, retired military Captain Mahmud Junaid and three children (two girls and one boy), including her new baby. Until her death, she was a staff of National Steel Raw Material Exploration Agency. Her funeral rites will hold today according to family sources. 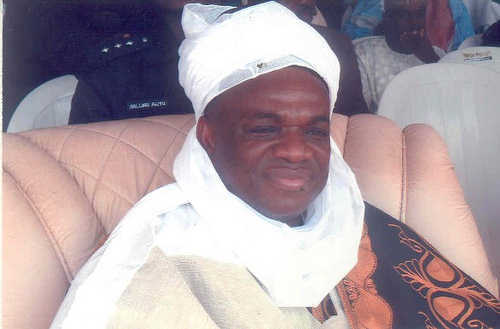 A former Governor of Abia State, Orji Uzor Kalu, has offered to dialogue with Boko Haram on behalf of the Federal Government. Mr. Kalu made the offer following a purported proposal by the sect requesting a former Head of State, Muhammadu Buhari, to dialogue with government on its behalf. Mr. Buhari has since declined the role. In a statement by his Special Assistant on Media, Emeka Obasi, Kalu said there was nothing wrong with the refusal of the offer by Buhari, adding that he was in a position to talk with the group for the return of peace to the country. He said that having lived in the hotbed of Boko Haram activities, Maiduguri in Borno State and being a prominent South Easterner, which has been largely affected by the activities of the group, he was in a position to marry the feeling of the actors in the dialogue process. 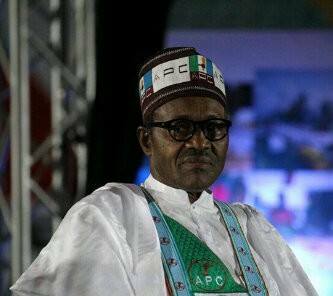 Mr. Obasi quoted Kalu as saying: “General Buhari took a laudable step by opting out. Mr. Kalu, who is also the protem leader of the nascent socio-cultural organisation, Njiko Igbo, added: “Ndigbo have suffered enough. “Their businesses have been destroyed, lives lost. Nigeria is their country. I do not see why they cannot walk freely from Maiduguri to Mubi, from Borno to Bauchi. I lived in Maiduguri. I still own properties there. I know the terrain. “We can sit down and dialogue on the condition that the group will cease all bombing activities in Nigeria. In the interest of peace, I think government should accept the peace move. Previously, they were almost faceless. Now, there is a window for peace. It is always good to jaw-jaw than to war-war. Both Islam and Christianity preach peace.